Is the foundation the same as LUHS? Can I contact LUHS alumni members on this website? This is the official website for LUHS Alumni and community donor engagement. The goal of the foundation is to provide alumni with opportunities to stay engaged with LUHS. It's also how you can support future LUHS college bound graduates and other worthy projects that support LUHS students. We are bridging community efforts in support of our students. We ask you to make a contribution to our Fixed Annual Cost Donation fund to offset our $2,000 of expenses, $1,200 of which is for website hosting. If we had only $10 each year from 200 alumni families, we would pay for the site. Any funds received in excess of our fixed annual costs will be poured into the LUHS Alumni Legacy Scholarship Fund. Use our secure payment processing for credit and debit cards at the main welcome page. You can also mail a check to our PO Box address located on the bottom of the main welcome page. All contributions are eligible for special tax treatment as contributions to a public charity. You will receive an email receipt for online donations or we will mail one to you for tax filing purposes if you mail a check to us. Please be patient as we are building out the site pages. All staff and board members are volunteers. We intend to manage and grow the scholarships that LUHS is responsible for to make available for LUHS students heading for post high school education. We intend to engage LUHS district families regarding their family legacy and charitable inclinations by helping them crystalize their legacy intentions, then matching them with strategies that reflect their highest ideals. 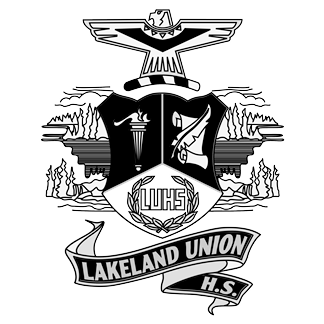 The LUHS District Foundation, Inc. is a separate corporate entity from Lakeland Union High School. 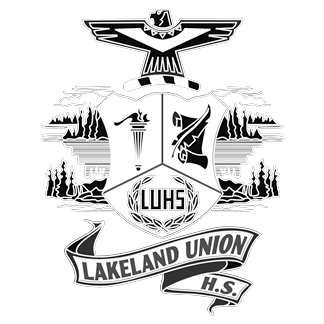 The LUHS board of directors authorized the transfer of approximately $35,000 of seed money to start the foundation. These funds were bequested to LUHS from the estate of Minocqua resident Doug Gasper who passed away in 2013. The funds arrived with no special instructions for use, though we know Doug wanted to support kids. The foundation and LUHS have a memorandum of understanding that states that the two entities will assist each other in pursuit of their missions. The current LUHS District Administrator attends foundation board meetings as an Ex-Officio, non-voting member to assist us in our efforts and keep us informed of student needs. The website is secured using industry standard security protocols. If you make a donation through the site, your personal information is secure and will never be shared with anyone for any purpose. At the current time, we do not store alumni information at our site. If you want to be included in the LUHS Alumni email distribution list, send us an email at info@luhsdistrictfoundation.org or call us at 715-892-6302. We periodically send emails with information about events or foundation updates.